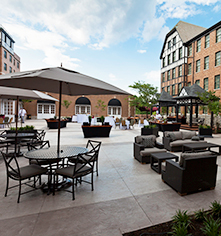 Visitors of The Hotel Roanoke & Conference Center can delight in repose right in the comfort of their own guestroom with in-room spa services. With just 24 hours notice, guests can request a massage, facial, or manicure and pedicure treatment from an expert therapist, without ever departing the hotel's grounds. 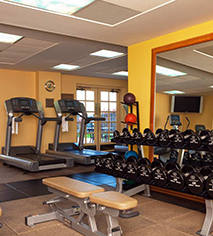 Boasting state-of-the-art equipment, guests can create an effective fitness routine while away from home in the hotel's luxurious fitness center, and then relax in its sauna or whirlpool once their regimen is complete. 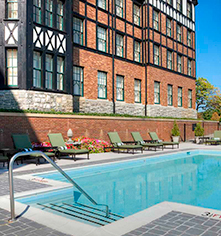 Travelers can bask in Virginia's temperate climate with a visit to the outdoor pool, with spaces perfect for relaxing in the sun or wading in the water.